Lytham & St.Annes on the Sea Lancashire - Local History - Seven Golden Miles - The Fantastic Story of Blackpool by Kathleen Eyre, 1961. 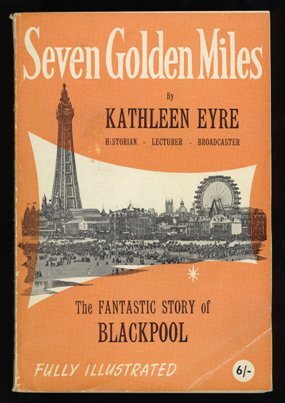 Seven Golden Miles - The Fantastic Story of Blackpool by Kathleen Eyre, 1961. Publisher: Weaver & Youles, St.Annes, 1961.